BlogFor over 11 years our devoted team have been driven by their love for the world of weddings. It is our aim to not only help you find your perfect wedding dress, but to also offer guidance and support during this important time in your life in any way we can. That is why our brand new blog is not to be missed by the beautiful and stylish bride-to-be. 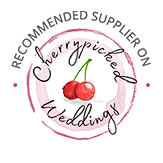 Make sure you take a peek for all the wedding planning tips and inspiration you could need, real wedding stories from some of our past brides, and news updates detailing all the latest goings-on at our beloved boutique.